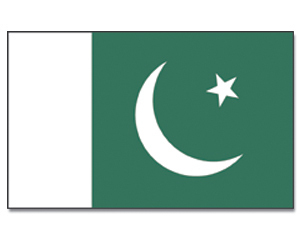 Animated Gif Flag Pakistan - Gif Animations may be downloaded free of charge, the Pakistan Flag and virtually all national flags are available. This right of use may be revoked by Promex GmbH at any time. Promex GmbH reserves the right to revoke any links to www.crossed-flag-pins.com at any time. Restriction of use: public reproduction, making publicly available, duplication, revision or further use of more than one single file, gif-animation or jpg data requires the prior written consent of Promex GmbH. The Copyright Agreement and all disputes arising thereunder or in connection therewith, are governed by the laws of the Federal Republic of Germany.